We are Pilar Jacobo and Valeria Petrone, both biologists working for the Climate Change Strategies Department of the National Commission for Protected Areas of Mexico (known as CONANP). Our daily work is focused on reducing the vulnerability to climate change of protected areas (PAs) (which involves ecosystems and human communities living inside and from them), through the development of adaptation capacities, the design and implementation of adaptation measures, and the strengthening of resilience; we also highlight the role of PAs as naturally-based solutions for climate change mitigation and adaptation. This past June, we attended the 5th International Climate Change Adaptation Conference “Adaptation Futures 2018, Dialogues for Solutions," a global event in which more than 1,300 individuals from governmental and non-governmental institutions, academia, the private sector and practitioners discussed different angles of adaptation processes: from indicators to monitoring and evaluation, from financing to implementation, from policies to local impacts, and from gender to sustainability. “Linking the NAP process and NDCs to accelerate enhanced adaptation action”: A presentation about Mexico linking the development of its National Adaptation Policy (NAP) with its Nationally Determined Contributions (NDCs) of the Paris Agreement, through 21 actions, as categorized in four strategic lines: social sector, ecosystem-based adaptation (EbA), productive sectors and strategic infrastructure. “PANORAMA Solutions for a healthy planet – learning from each other’s successes on EbA”: The importance of communicating EbA success and the use of media to do so (PANORAMA platform) was highlighted. The case of Cuatrocienegas Flora and Fauna Protection Area was presented. 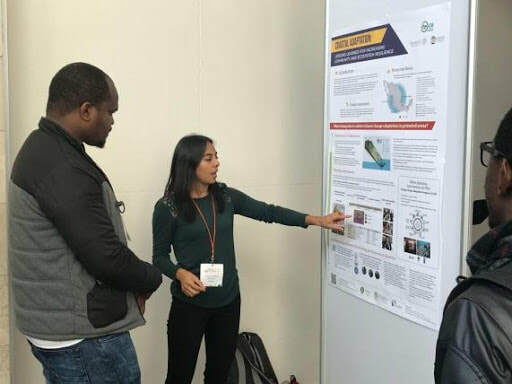 “Coastal Adaptation: lessons learned for increasing community and ecosystem resilience”: Adaptation processes are being boosted in 11 PAs of Mexico through the GEF Project “Conservation of Watersheds under a Climate Change Context – C6”. 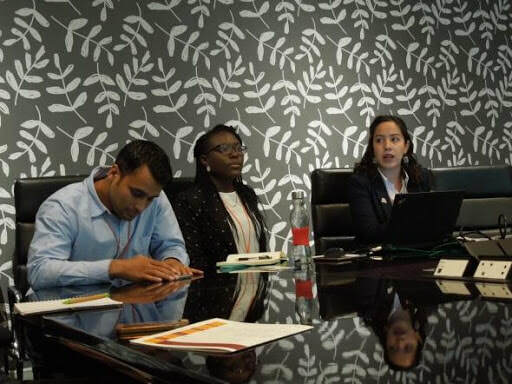 Through this, it has been shown that collaboration between governmental and non-governmental institutions, the use of tools with a climate perspective and the implementation of monitoring and evaluation protocols have been key factors for adaptation successes. 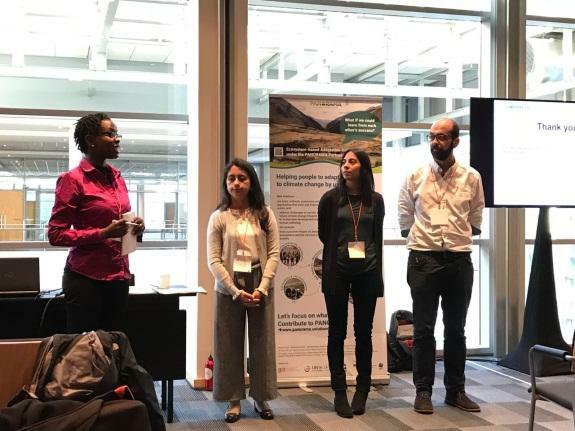 “Success stories for ecosystem-based adaptation in Latin America”: Representatives from Ecuador, Colombia, Brazil, Mexico and Central America explained how the EbA perspective is being incorporated into its national policies and action plans. The need for adaptation to be constructed from communities, including the participation of all vulnerable sectors, such as women, was highlighted. “Natural resource management”: CONANP presented some of the tools which, developed in collaboration with the GEF project “Resilience”, we are reducing PAs vulnerability to climate change: Climate Change Adaptation Programs (CCAP), a definition of biological corridors under climate perspectives, and web tools for an effective management of resources under climatic criteria for PAs’ managers. 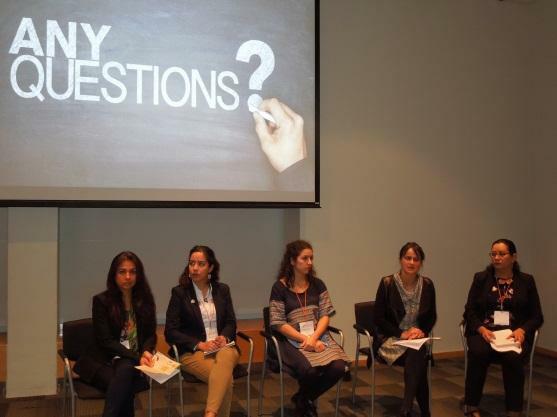 The Conference was full of knowledge, expertise, discussions, case studies and questions that are still without answers. Together, participants tried to fill those gaps and to find ways to enhance adaptation processes all around the world. We know how urgent it is to find solutions for climate change and to help people become less vulnerable to it. More understanding is required between decision-makers and academia, so that academia can provide necessary data for adaptation processes. ​We came back to Mexico ready to communicate all these messages to our partners and to work to improve our practices at CONANP. Hopefully, we can help protected areas of our country to strengthen their resilience and help people to deal with climate change effects. *We are thankful for the financial contribution from the GEF project “Conservation of Watersheds under a Climate Change Context” and from the organizers, which made our participation at this Conference possible.